So in all their infinite wisdom, 20th Century Fox and Gearbox Software approached this as an official sequel to James Cameron’s Aliens from 1986. Nearly five months after the tragedy that occurred at LV-426, a new squad of marines are investigating the remains of Hadley’s Hope on the Sulaco spaceship. A valiant effort was made to recreate some of the iconic imagery that was present in Aliens such as Bishop’s dismembered other half on the Sulaco, an audio recording of Newt with her mother and others. Neat little easter eggs like this really show that Gearbox was dedicated to bring out the Aliens experience to players. Unfortunately, this is one of the few strong points about the single-player. This needed to be a first-person shooter first and foremost and its mediocre at best. Let me say first that Colonial Marines makes another valiant effort at recreating the atmosphere of the 1986 film as well. To be completely honest, if it weren’t for the inexcusable amount of glitches and shoddy AI, this would have instilled just as much fear and suspense as the film too. The tight, dimly lit corridors and eerie soundtrack contribute to bringing a really horrific experience. Sadly it is constantly interrupted by the poor AI of the xeno enemies. These xenos aren’t going to hunt you in packs or take you by surprise. They simply come in as waves, making this out to be a glorified horde mode. Almost immediately, the tension and excitement in a given section of the campaign is gone due to the fact that it is a spray and pray fest. To add insult to injury, you already have all the weapons you’ll need for the entire campaign right at the start, making this a monotonous grind, void of any skill required. The game does try to change things up by stripping you of your weapons and having you sneak your way through an infested section of xenos but this also backfires once again, because these xenos have scripted movements a toddler could read and it makes stealth feel more like padding. Multiplayer isn’t anything special either. There is four player co-op in the campaign but with tight corridors and the fact that this game is going for horror primarily, co-op play isn’t the way to go. The spawns in this game are about as bad as on the smallest Call of Duty map you can think of and the enemies aren’t any harder to fight. There are four multiplayer modes to choose from: Exterminate, Team Deathmatch, Escape, and Survival. 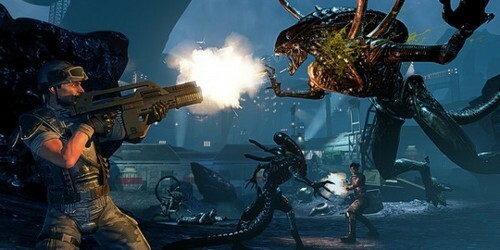 Escape stands out among the four simply because it is essentially Left 4 Dead with aliens and it consists of a four man squad hustling to an extraction zone while fighting off opposing xeno forces. This is about as close you’ll get to the Aliens terrorizing feel of the game; its just a shame that there’s only two maps to do this in. I’m sure there will be some DLC maps for this mode in particular but with the rest of the game in shambles, its hard for anyone to invest more money in this mediocrity. Colonial Marines’ multiplayer component has some interesting concepts but they’re few and far between. The xenos are less powerful than the marines and control badly so it doesn’t encourage people to stay online for very long. I used the PC version of this game and I do have to say that despite the glitches, this game does offer some nice textures in 60 FPS. That being said, there isn’t any outstanding visual wonders here. This was designed for DirectX 9 and that’s it limit. It boils down to this, Aliens: Colonial Marines came out at the worst possible time. James Cameron’s Aliens most certainly paved the way for sci-fi shooters such as Half-Life, Doom, Halo and various others in this specific genre in some way. Had this game come out years earlier and polished well, it could have been a spectacle. Colonial Marines just feels generic at this point because of these other franchises openly stealing from Aliens for years. Whatever new concepts that were introduced in Colonial Marines feels overshadowed by its shortcomings. 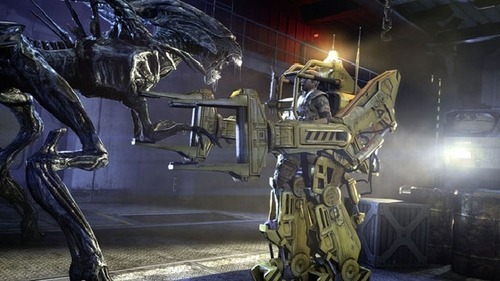 Aliens: Colonial Marines was certainly crafted with a great respect for the Aliens franchise and die hard Aliens fans will get some enjoyment out of this, but this also needed more polish and imagination. 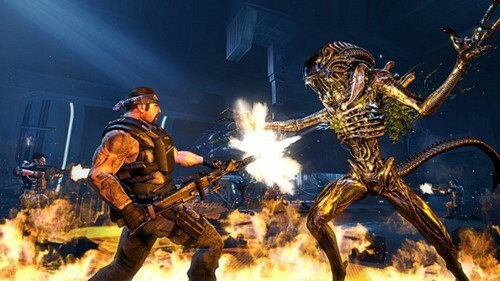 At the time of this review, Colonial Marines is a full $60 retail for Xbox 360 and PS3. The PC version is $50.